If you’re looking for a simple meatloaf recipe that is moist and dripping with flavor, this meatloaf recipe will quickly become a family favorite. 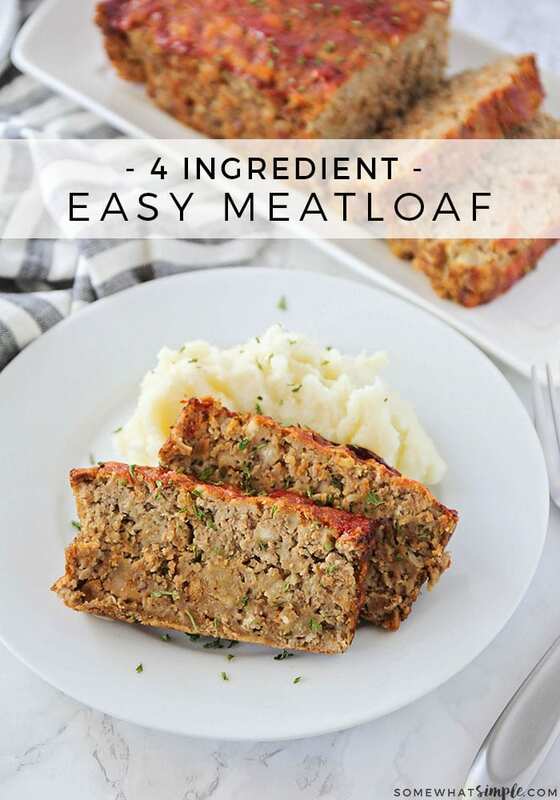 Using only four ingredients, this easy meatloaf recipe is simple to make and the taste is amazing! Serve this simple recipe with a side of creamy Garlic Mashed Potatoes, a Spinach Salad or bowl full Roasted Vegetables for a delicious dinner that everyone will be clamoring about! My dad is not a meatloaf fan, so growing up my mom rarely made it for our family. And I feel like I was maybe deprived or something… because what’s not to love about meatloaf?!? 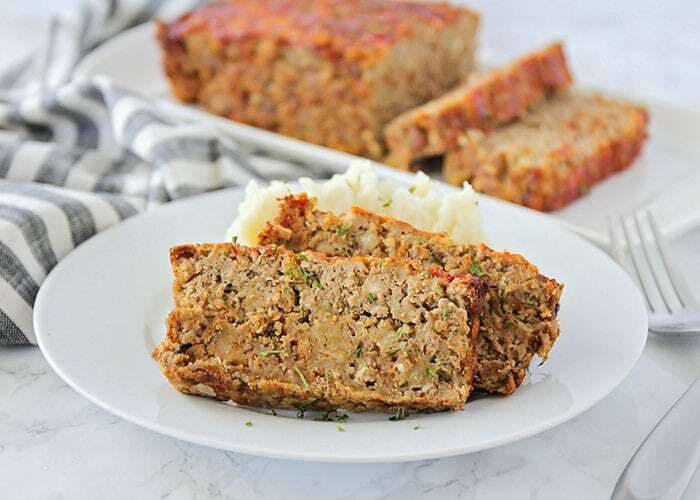 I’ve made my fair share of various meatloaf recipes, but this simple homemade meatloaf recipe happens to be my oldest son’s favorite thing to eat for dinner. Like many of you, we have a very busy family and I don’t have time to make gourmet meals. My favorite part of this meatloaf recipe is that you only need four ingredients so it’s easy to make and it takes just a few minutes to prepare. What Side Dishes Go Well With Meatloaf? The only thing that will make this simple meatloaf recipe better is one of these delicious side dishes. Just like main dish, these sides are super easy to make as well. This simple recipe for meatloaf is made by combining ground beef, stuffing, water + 1 egg. You mix it well, then press it into a loaf pan. 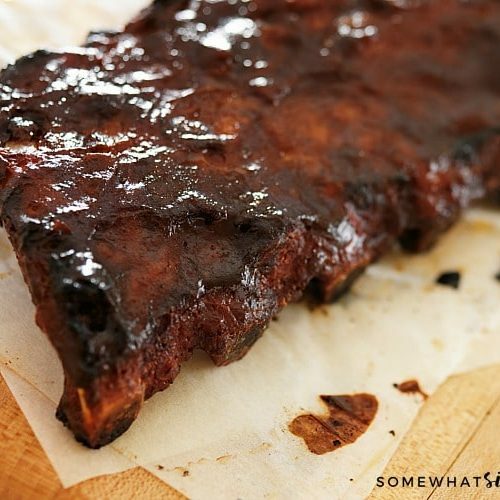 Bake it, brush with ketchup, BBQ or meatloaf sauce for added moisture and flavor, then you’re good to serve it! 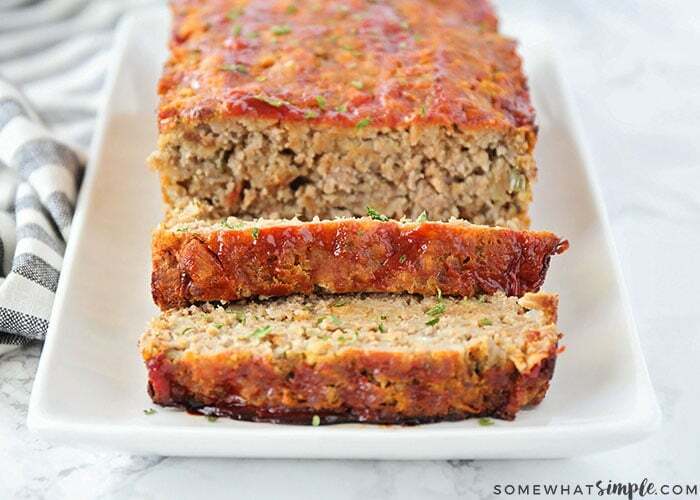 I have yet to be disappointed by any of the recipes I’ve tried, but this easy meatloaf recipe that I am sharing today takes first place in my book! 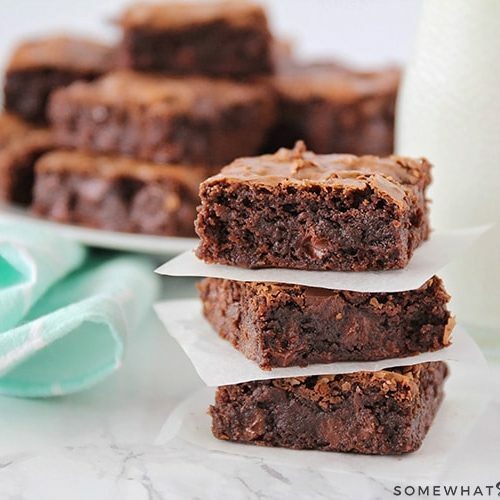 Not only is it moist and delicious, it is also SO SIMPLE to make. For this meatloaf recipe I used 1 pound of ground beef and cooked it at 350 degrees F (177 degrees C) for 45 minutes. This will of course vary if you use more of less ground beef to make your loaf. To make sure your meatloaf is fully cooked, use a meat thermometer to make sure the internal temperature has reached 160 degrees F (72 degrees C). Yes, you can definitely freeze this homemade meatloaf recipe. In fact, you can freeze it both before and after cooking the meatloaf. If you freeze it before cooking, I like to wrap it in plastic wrap before placing it into a freezer bag. When you’re ready to bake it, leave it in the refrigerator overnight to thaw and then cook it according to the directions above. You can keep meatloaf in the freezer for up to 3 months before I would recommend throwing it out. 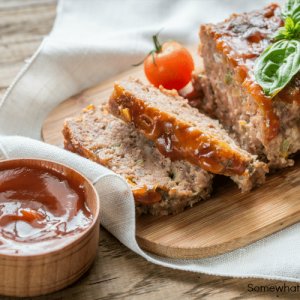 With only four ingredients, this easy meatloaf recipe is simple to make and the taste is amazing! This meatloaf recipe is moist and dripping with flavor. This meatloaf recipe will quickly become a family favorite. 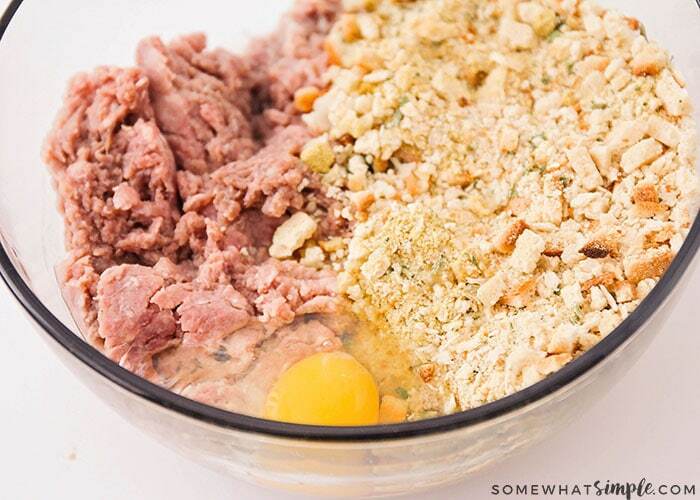 In a medium bowl, mix all the ingredients together until combined. Don't be afraid to use your hands for this. Press in a bread loaf pan and bake for 45 minutes. 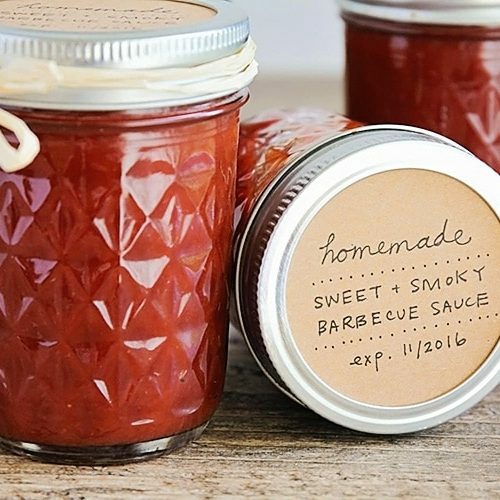 Optional: Add BBQ sauce or ketchup to the top. 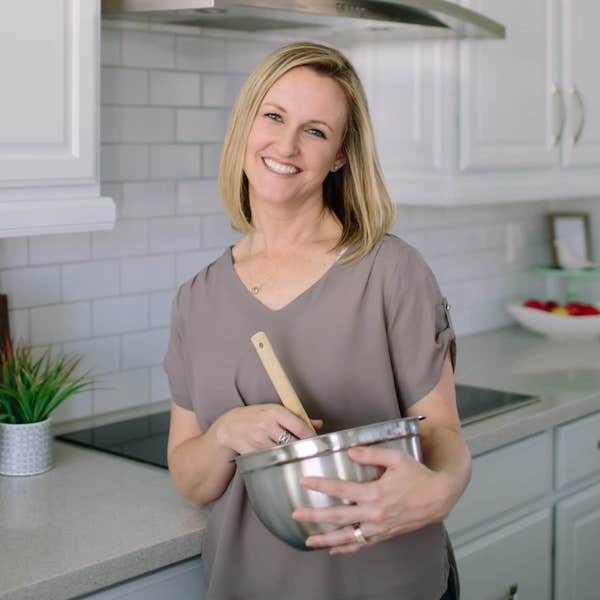 What Are Other Easy Recipes? 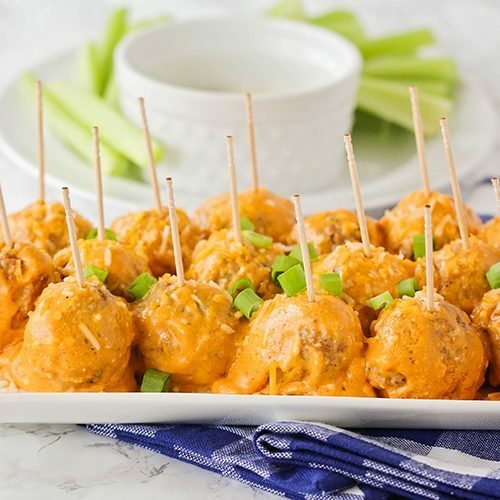 These easy Grape Jelly Crock Pot Meatballs are one of my family’s favorites. I love this Garlic Parmesan Turkey Cutlet Recipe. If you have a family with varying tastes, try our Build Your Own Pasta Bar that is sure to make everyone happy. Wow! That is simple and cheap. I can get ground beef on sale for $1.77 and stuffing for .88 and potatoes for $1 for 5 pounds. So a meatloaf and mashed tater dinner would be less than $3 for 4-5 people. 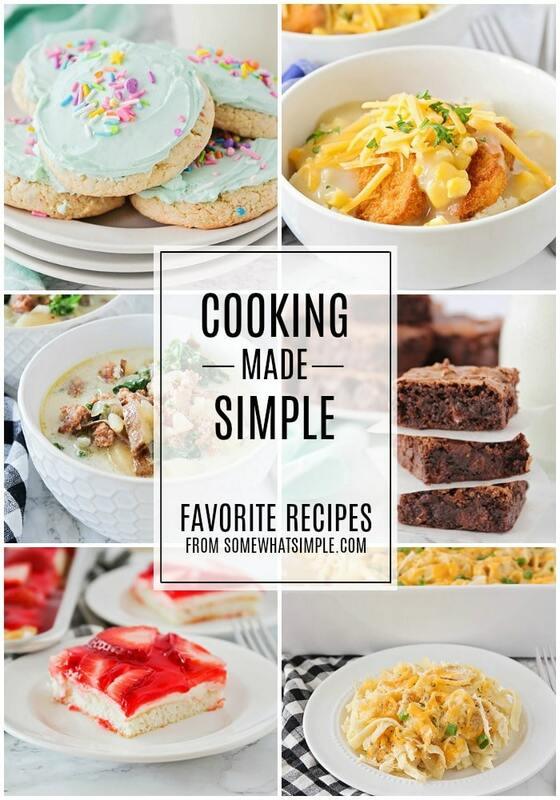 Yes, it’s definitely a delicious meal that doesn’t cost a lot to make! You’ll love it! ThIs is a great meatloaf recipe. it was a huge hit with my family. 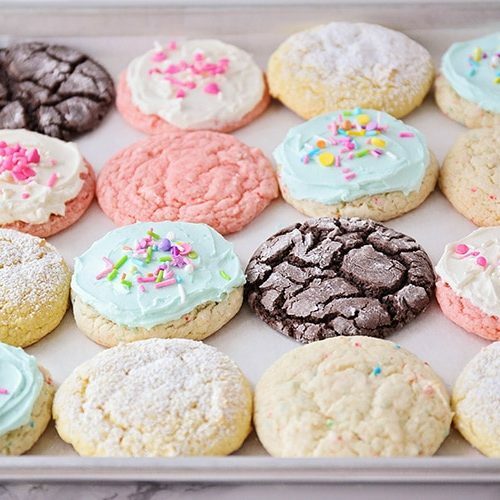 thank you for sharing the side suggestion recipes. 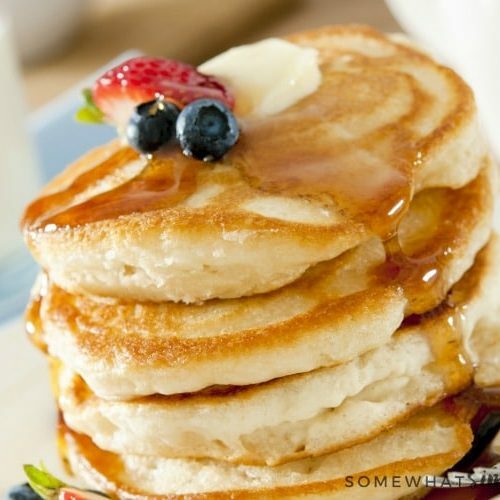 You’re very welcome…so glad you loved it! I don’t eat meat so my family feels the deprivation that you did growing up. 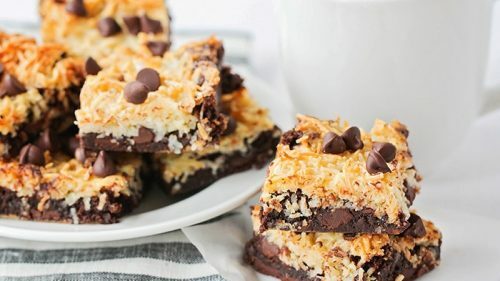 This does look like a lovely recipe that I’m certain my husband would love. My family loves meatloaf and I’m always looking for new ones to try. I love how simple this one is! Thanks for a new dinner idea.